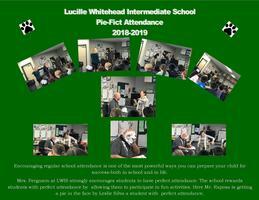 Lucille Whitehead students enjoyed a fun-filled week of activities including daily Dress Up Days to celebrate READ ACROSS AMERICA week. On Friday, March 1st - in honor of Dr. Seuss' Birthday, Waterford High School students visited each classroom reading to the students and gifting each student a Dr. Seuss pencil to encourage them to keep reading!! 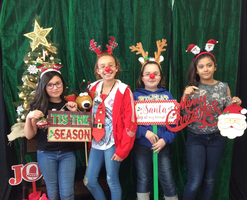 LWIS students enjoyed the Holiday Photo Booth in December! 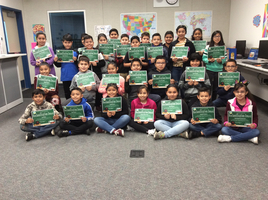 LWIS held their English Learner Reclassification Ceremony to recognize 29 students for being reclassified as Fluent English Speakers. We congratulate these students for their hard work and achievement! Character Trait - FriendshipAmelia, Natalie, Lily & MasonStephanie, Pearl, Lelani and JaxonSeptember's monthly Character Trait - Friendship. 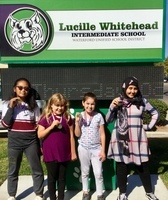 These students were recognized at the LWIS Monthly Flag Salute for their acts of kindness and friendship. 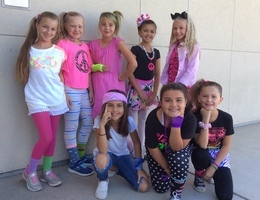 It's 80s day at Lucille Whitehead. 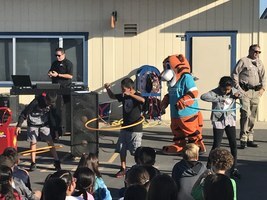 Students enjoying 80s music at morning recess. The month of September's Character Trait is Friendship. 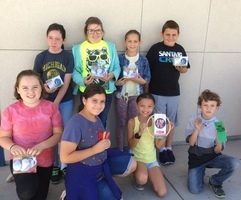 Students from each class who demonstrated acts of friendship enjoyed visiting the LWIS Garden. There they were able to gather flowers for a bouquet to take home and give to someone special. Friendship - the gift that keeps on giving! . 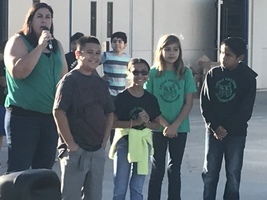 LWIS Student Council Officers led their first All School Flag Salute this mroning. Co-Presidents Angel Guevara and Isabella Ramirez led students in the Flag Salute and Waterford Pledge. Matthew Rosas shared morning announcements. Isabella Vivo talked to students about LWIS Spirit Days. 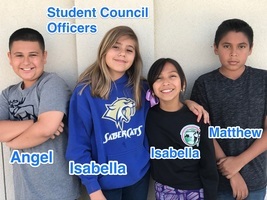 Great Job Student Council Officers!